The tail begins to spin, and the main rotor overhead casts a series of whirring shadows on the inside cabin. With a few more revolutions and a burst of horsepower, it’s liftoff for what pilot Sean Ihnen calls the most advanced helicopter in the Midwest. And it’s not just a helicopter, it’s also a fully-functioning emergency room with state-of-the-art avionics. The latest addition to Avera’s Careflight program will be used to transport patients from rural facilities when they need immediate care from a surgeon or sub-specialist that may not be available at their local hospital. 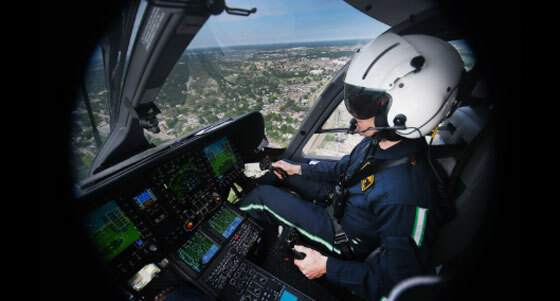 The chopper is an Airbus H145 retrofitted for medical use and includes resources for oxygen, suction, ventilation, medications and surgical equipment. It even has large “clamshell” doors to allow for easy loading and unloading of patients, just like those on an ambulance. 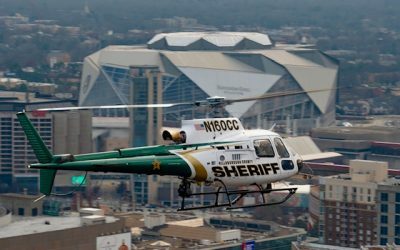 Rural patients will benefit as the helicopter has turbine-smooth technology that lessens the vibrations felt inside the cabin, making it easier for flight nurses and medics to work while in the air. Traveling at speeds of almost 150 mph, pilots can fly from Sioux Falls to Aberdeen in 65 minutes and from Sioux Falls to Mitchell in 30. These high speeds mean that medics can make it to a patient’s bedside during the ‘golden hour,’ or the period of time in which treatment is most effective — something that a regular ambulance couldn’t make. In the meantime, the Avera eCARE program allows doctors in Sioux Falls to start examining patients the moment that it’s known they’ll be transferred. This creates space for medical direction even before the helicopter or plane has left the Sioux Falls pad. The helicopter joins two already in operation — two Eurocopter EC 145s, one housed in Sioux Falls and another that will soon join the Aberdeen network. Two planes or “fixed wings” are also in the Avera system that are used for distances outside the 125 mile Sioux Falls radius. Avera is also in the process of establishing an airbase in Pierre with plans to have it finished by September. “It’s a strategic vision that we have to try and locate our aircrafts where the patients are, so that we can get to their bedside as quickly as possible,” said Friedman. The Airbus H145 will start officially being used for patient care starting July 1. 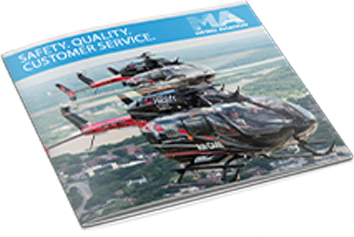 Metro Aviation is constantly growing our capabilities and expanding our reach. 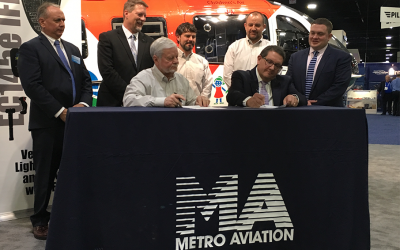 Metro holds more than 30 Supplemental type Certificates (STC) and completes about 35 aircraft each year for U.S. customers anf global clients.